This could actually be very interesting. 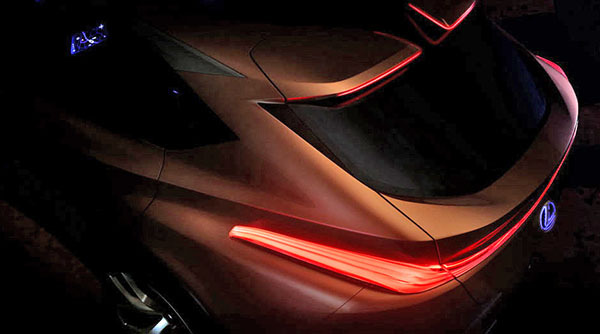 Lexus is preparing an all new high end SUV. Probably the "Lexus LS of SUVs". And why not, since this is a pretty hot market. Toyota's Calty design studio in California has been responsible for many of Toyota's best designs for decades. Isn't the Lexus LX the LS of SUVs?! The current LX is a chromy Land Cruiser. A truck. this could be the upcoming UX but more of a production concept. The current front end look of the Lexus is a big turn off to me! Looks like the Predator mouth! LOL! So a larger that RX-L CUV? Or will this be something in addition to the LX (Land Cruiser) and essentially replacing the GX (Prado/4Runner)? This thing almost certainly doesn’t have a third row. I’m guessing this is an X6ish flagship SUV that doesn’t replace anything in the current lineup. And here I thought that Lexus was a lost cause. This looks very interesting.